Who Should Pay for Well Water Testing? posted by Water Testing Blog on Tuesday, November 23rd 2010 under: Ground Water, Home Water Test Kits, Home Water Testing, sensafe, Water Quality Testing, Water Test Kit, Water Testing, watersafe, Well Water Tags: stamford well water, Well Water, well water testing, who should pay for well water testing? Areas affected by drinking water contamination where the majority of homeowners have their own private wells face a unique set of circumstances. Why? Quite simply, the law states that owners of private well owners bear sole responsibility for the quality of the water produced by their respective wells. Accordingly, any testing deemed necessary — for ANY reason — gets done at the sole discretion of the well owners… typically at the EXPENSE of the well owners. Your well, your water, your problem, right? Not when the government wants information about aquifer contamination in the area. In cases where health officials suspect widespread contamination of the aquifers feeding local residents’ wells, and they want to figure out the extent of contamination and/or where the contaminants came from, a disagreement over who should pay for residents’ private wells to get tested will definitely occur. Experts will want the testing done in a scientific, methodical manner — so that any results obtained can get admitted as evidence in a court of law, if needed — and that would mean a whole lot of testing done by certified water testing labs. Testing of ANY kind costs money… and since the government wants the testing done, some feel the government should foot the bill. But, um, wait… The government gets its money from taxes — which we, the people, pay each and every day. So… if a person opts NOT to participate in the testing, why should they have to pay for the testing through their taxes? Residents of Stamford, CT have a situation very similar, if not totally identical to the one described above going on in their community right now. STAMFORD — City officials are considering passing an ordinance that would subsidize well water testing for Stamford residents in another effort to determine the origin and extent of pesticide contamination in North Stamford. In the end, though, the responsibility for private well water testing will almost always remain in the hands of the well owner. We suspect that if a private well owner refused to participate in Stamford’s testing program, no Court could compel them to change their mind. The testing needs to get done. Period. Something has contaminated the water and someone needs to figure out the identity of that source. We wish you the best of luck, Stamford, as you attempt to figure out the source of your well water troubles. Please share with the rest of us how you sort out the matter of who will pay for the testing… when you finally figure it out. The quality of your well water changes all the time, though in most instances you would never notice or know that it had changed. Most changes mean nothing when it comes to the health of those who drink the water, but every once in a while a change will occur that goes unnoticed… and can have adverse effects on people. Examples of such changes include contamination of a water supply by arsenic, pesticides, heavy metals, bacteria, etc. Many times you have seen us post articles urging private well owners to test for the presence of bacteria in their wells on a regular basis — ‘cuz no one else will ever volunteer to do it for them. We have even given links to a basic bacteria in water test kit from two different companies (SenSafe & WaterSafe) and to a more advanced bacteria test kit from SenSafe that lets a person find out not only if they have coliform bacteria present in their water, but also if they have E. Coli present. Today we have information about the ‘tools’ required to take full advantage of the advanced bacteria test kit from SenSafe and how to properly use them to test for the presence of coliform bacteria in water samples. First of all, make sure to keep the test kit dry and in temperatures of 15-27 C (59-81 F). Wash hands thoroughly with soap and water before gathering your water sample. Dry hands completely. Carefully remove the bottle cap from the Sensafe EZ Coliform Cult E.Coli Test Kit. Add 100 milliliters of sample water but make sure not to overfill. Quickly put the cap back on the test bottle and secure it tightly. Shake test bottle vigorously until all of the media (solids inside the bottle) dissolve. Solution should turn a clear yellow color at this point. Turbid samples will have a less clear appearance. Either incubate the sample for 24 hours at 35 deg C/95 deg F — or — for 48 hours at 25 deg C/77 deg F.
At the end of incubation period, look at the color of the sample. A yellow color indicates a lack of coliforms while a bluish green color indicates the presence of coliforms. Shine a UV light with wavelength 365nm from the bottom of the sample. If bright blue fluorescence occurs, the sample contains E. Coli. Where can you obtain a UV light source to perform this test? WaterFilters.Net carries the Sensafe NVF-4 Handheld UV Light. Addition of Sensafe Kovacs Indole Reagent will also let you know if the sample contains E. Coli. Unfortunately we do not, at this time, have specific information regarding how this process works. Do you know what contaminants your water contains? If not, then please allow us to come into your home and scare the pants off of you so we can sell you a water treatment system that you may or not need. Sounds ridiculous and unethical, right? We think so, too, but obviously some folks in the Minnesota area think that plan sounds absolutely wonderful… and profitable. Thankfully some folks up that way did the right thing and notified local authorities so they could put out a statewide alert detailing the actions and intents of those shady water filter sales cretins. The Minnesota Department of Health (MDH) is reminding Minnesota residents to beware of false claims, deceptive sales pitches, and scare tactics being used by some water treatment companies to sell expensive and unnecessary water treatment systems. High profile investigations of groundwater contamination in Washington County and elsewhere in the state have resulted in a noticeable increase in the number of complaints regarding such deceptive sales activities. — Recites a list of recent groundwater contamination problems across the state, regardless of whether the contamination actually affects the resident or not. — Conducts a series of water quality “tests” that the salesperson claims indicate the presence of contamination, when in fact they may simply indicate the presence of naturally occurring minerals in the water. — Misrepresents state and federal drinking water standards, claiming the resident’s water exceeds those standards, and implying the water is unsafe to drink. — Offers a “one-time only” offer of a water treatment system at a “greatly reduced” price, when in fact the systems are being sold at grossly inflated prices. Anyone who believes they have been provided false or misleading information or that they have been subjected to unfair or high-pressure tactics in the course of a sales visit should contact the Minnesota Attorney General’s office Consumer Complaints division at 651-296-3353 or 800-657-3787 or online at http://www.ag.state.mn.us/Consumer/Complaint.asp. Now don’t get us wrong. Not ALL water filter salespeople use deceptive and underhanded sales tactics. Many water filter companies adhere to strict codes of conduct and actually PREFER to work with an educated and informed customer base. You can find companies of this type listed on the Water Quality Association and NSF web sites. Educate yourself before talking to a water filter salesperson? Absolutely! By definition the salesperson wants to SELL you something, not teach you things that will cause him or her to lose a sale! First line of defense against shady sales tactics: Educate yourself on water quality issues potentially affecting people in your area by contacting your local health department. They will gladly provide you with the information you request. Second line of defense against shady sales tactics: Have your water tested by an independent, certified company such as National Testing Laboratories or an independent lab recommended by you local health department. If nothing else, you can always test your water for the basic water quality parameters using a test kit from companies like SenSafe and WaterSafe. It strikes as very odd that in these modern times we still come across reports of lead poisoning on a semi-regular basis, but it still happens. This time we found a story about Milwaukee, a city that apparently has a problem with lead reaching its population via the public water supply. Milwaukee is alarmed at the rate of occurrence of childhood lead poisoning in the city, and it is taking steps towards its possible elimination by next year. Late last year, the city received two federal grants that came up to a total of $6.9 million to be used for programs aimed at the elimination of lead hazards as well as the increase of public awareness on the dangers of lead poisoning. The Health Department is encouraging citizens to have their children tested for the presence of lead three times before the age of three, and eligible properties can apply for assistance for lead removal. Their concern is understandable. The North Side of Milwaukee has an average lead poisoning rate of 14.1%, which is nine times the national average. The entire city’s lead poisoning rate is 5.9%, still significantly higher than the national average – almost five times. Aside from government-sponsored efforts, households can also actively participate in the prevention of lead poisoning in children. One easy and doable way of doing it is to ensure that water consumed in the home is lead-free. Generally, water from reservoirs have been treated and are lead-free upon distribution, but it can still become contaminated through home service pipes and faucets. While water may not be the primary source of lead poisoning, it may contribute to an increase in lead levels in someone who already has lead exposure once ingested. Since water is a resource that households can easily control, it will be beneficial for homes to proactively ensure lead-free water intake. There are a number of ways to ensure that the family consumes lead-free water. One way is to perform a simple task called “flushing” each morning – basically letting the tap run for about 15 to 30 seconds or until the water gets cold, to ensure that any stagnant water that may have reacted to the pipe as it sat there overnight and may contain lead is flushed out and not used. So… What can the average person do to find out if they have a problem with lead in their drinking water? Quite simply, they could use a readily available lead in water test kit from WaterSafe, a leading manufacturer of home drinking water test kits. In a matter of minutes a person can find out if their water contains more than 15ppb of lead, the maximum contaminant level recommended by the United States Environmental Protection Agency. Testing for exposure to lead? A person may come into contact with lead in a number of ways. It can show up in the paint used in older buildings, at one point it existed in our gasoline, and, of course, we all know it can show up in our drinking water. With that information in mind, the question quickly becomes how do we find out if we have received too much exposure to lead? In the past a person had to go and have blood drawn to determine if they had received exposure to lead. Now, however, test kits like LeadConfirm allow people to have their saliva tested and avoid needles. We find that a very good thing… because we hate needles! Testing for lead and other metals? In our experience many other metals besides lead can find their way into the water supply and these days it makes little sense for homeowners not to periodically test their water… if only to err on the side of caution. You can find more links to metal test kits in our Water Test Kit Store. We have written several times about businesses calling on residents of different towns and cities in the past and offering free water testing services as part of an (alleged) authorized city/state water testing program… and today we will write about it again. This time not to blast the potentially, and most likely unethical business practices of some water filter companies, but rather to compliment the folks who put the following article together which not only warns people about the possibility of scam artists in their area, but also gives people ways to access the most recent Annual Consumer Confidence Report for their local water company. Residents in Auburn and Opelika are currently being contacted by private companies offering to provide free water testing services. These companies are not affiliated with any local government or water provider. These companies offer the free water testing services in an effort to persuade residents to purchase water treatment systems. The Water Works Board of the City of Auburn (AWWB) and Opelika Utilities provide water service in the Auburn and Opelika area. The water provided to residents in Auburn and Opelika is safe to drink and does not require additional treatment. Additionally, the water provided to residents in Auburn and Opelika is tested on a routine basis and meets all state and federal water quality standards. Water quality information presented in the Annual Consumer Confidence Report for the AWWB can be found at www.auburnalabama.org/wrm-water under the Annual Reports tab. Water quality information presented in the Annual Water Quality Report for Opelika Utilities can be found at www.owwb.com under the Water Quality Report tab. It does not matter where you live. If some stranger shows up on your doorstep claiming to represent the local Health department or your local water company and they don’t seem to have proper credentials, call the police immediately and do NOT allow them entry to your home. Legitimate parties will remain at your door until the officers arrive. Scam artists and phonies will high tail it out of your yard in a heartbeat. First of all, remember that the person, hopefully from a reputable water treatment system company, coming out to your home had one goal in mind: To sell you a water filter system. In other words, they don’t make any money if you don’t buy a water filter system. 1) If on city or tap water, request and read the Consumer Confidence Report issued by your local water company. 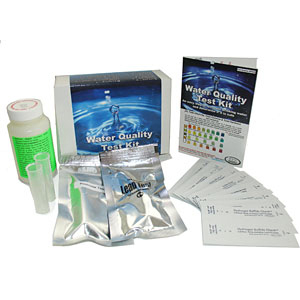 2) Pick up an at-home water test kit such as the WaterSafe City or Water Quality Test Kit made by SenSafe and test your own water for a few basic parameters. Arming yourself with a little bit of knowledge before the water filter company’s representative starts bombarding you with ‘facts and figures’ that may or not have a basis in reality may allow you to quickly determine whether or not the person has come to your home to blind you with BS so they can sell you a water filter — regardless of your actual, real water quality needs. The Courts in Illinois will play host to a series of lawsuits alleging that a Rohm & Haas facility allowed a carcinogenic compound known as vinyl chloride to escape into the environment and contaminate the aquifer from which local residents pull their drinking water. More than 300 McCullom Lake residents have signed up to get their wells tested for carcinogenic vinyl chloride at Rohm and Haas’ expense. Of 515 surveys sent out last month by village government, 325 came back wanting the free test, while only 11 responded no, Village President Terry Counley said. Rohm and Haas offered in August to pay for it, more than four years into a series of lawsuits blaming pollution from its Ringwood plant for causing a brain cancer cluster. “I’d say it’s a very good sign. We’re all in this boat together over here, and we need the answers,” Counley said. Counley must select a water testing company from a list of firms accredited by the Illinois Environmental Protection Agency. Only people who signed up will get their wells tested, and Counley said he would like to get it done before winter. Three former village next-door neighbors diagnosed with brain cancer filed the first lawsuits in April 2006, alleging that decades of seepage from a closed 8-acre waste pit fouled their air and groundwater with vinyl chloride and other chemicals. Thankfully the residents of that region in Illinois have banded together and taken a stand on the matter of well water pollution. With any hope these folks will find some answers from the testing… and after that we hope other communities will band together and investigate possible sources of suspected well water contamination. Can the average person test their own water? While the task of testing well or ground water for the presence of compounds such as vinyl chloride will remain in the hands of certified water testing experts such as National Testing Laboratories, the average person CAN test for other, more common drinking water contaminants. Companies such as SenSafe and WaterSafe make easy-to-use, accurate at-home water test kits for a number of critical drinking water parameters such as arsenic in water, lead in water, bacteria in water, and heavy metals in water, etc. 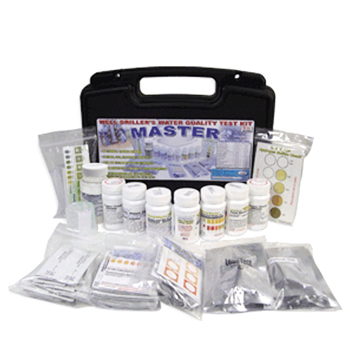 Consumers have the option of purchasing drinking water test kits for individual parameters or in multi-parameter test kits such as the Water Quality Test Kit from SenSafe and the City Water Test Kit from WaterSafe. Earlier this year we wrote about a residential neighborhood called the Acreage in Florida because of the unusually high incident rate of cancer and tumors in children living in the area. At one point residents and officials suspected that radon may have played a part in making people ill (Radon a Suspect in Florida Tumor and Cancer Cases). Outcry in the community prompted the State of Florida to launch an investigation (State of Florida Agrees to Environmental Testing in Acreage Homes Area). Now, after meeting with residents in the area, going over their histories, testing their water and testing their soil… the Centers for Disease Control and Prevention, Florida Department of Health has concluded that living in the Acreage has nothing to do with the unusually high number of brain and central nervous system cancer cases in the area. In a nutshell, the State of Florida can’t find anything to explain the rash of illnesses. ACREAGE – The State Health Department’s cancer cluster investigation in the Acreage is coming to an end, with no answers for the hundreds of residents desperate to know why their area is experiencing a higher than usual rate of cancer. A report released today indicates testing on water and soil samples is over. Following countless hours of review and concurrence from the Centers for Disease Control and Prevention, Florida Department of Health officials say there’s nothing they can definitively point to as a source of the pediatric brain and central nervous system cancers in the community. They also determined that having a longer residency in the Acreage posed no higher risk for brain tumors among its children. Health experts analyzed the history and lifestyle of 13 Acreage families, whose children and teenagers have been diagnosed with cancer. 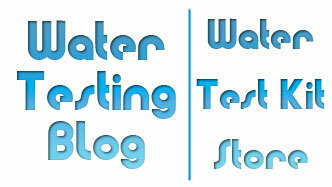 So what does Water Testing Blog think about the situation in Acreage? Quite frankly it SCARES us in ways we cannot explain. Not to sound like the Twilight Zone, but imagine, if you will, that your children and your neighbors’ children have all developed serious and potentially life threatening conditions… and no one can figure out why. Hopefully someone will figure out why those poor people have gotten sick because in all honesty, if such a ‘random and unexplainable’ spike in cancer can occur there, what would stop it from happening where WE or YOU live? Plan of action for the rest of us? In all honesty, we can never truly test for every possible contaminant that could find its way into our drinking water. We can only test for the things most likely to show up on a regular or semi-regular basis and have a ‘full’ analysis performed by a certified water testing lab at set intervals. The average person has a number of options when it comes to testing their own water. 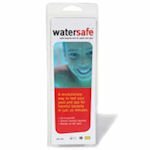 The easiest way, aside from having someone else do the testing, usually involves the use of a test kit from companies like SenSafe and WaterSafe. In the end, though, and as we ALWAYS suggest, if you have serious reason to suspect your well water or municipal/public water supply may have become contaminated, seek the expertise of a certified water testing laboratory such as National Testing Laboratories. We often get asked if people who have city/town water ought to test their drinking water from time to time. If you live in the city of Edgewood, Iowa, you no longer have to ask that question. While the Iowa Department of Natural Resources says they do not believe any dangerous water safety issues avoided detection, the fact that a city employee responsible for testing the city’s public drinking water supply on a regular basis purchased only enough supplies for 100 tests — despite claiming to have performed 3,889 water tests between January 2006 and July 2009 — would make just about anyone curious. A former Edgewood city employee has been sentenced to probation after he admitted that he failed to test the town’s water supply and submitted false reports to the Iowa Department of Natural Resources. Harris, 43, pleaded guilty in April to one count of making false statements in a matter within the jurisdiction of the Environmental Protection Agency. In the plea agreement, Harris admitted he sent false monthly reports to the DNR from February 2008 and July 2009. He falsely claimed testing for fluoride, chlorine and manganese. DNR tests showed less chlorine in the water than the 1.5 milligrams per liter required by state law to kill bacteria. The review found lower-than-acceptable levels of fluoride, which reduces tooth decay, and manganese oxide, which helps remove cancer-causing radium from the water. Residents in the eastern Iowa town were not exposed to any short- or long-term health risks, a DNR officer said. The DNR originally alleged that Harris claimed to have done 3,889 water tests between January 2006 and July 2009, but bought enough material for only 100 tests. Harris resigned in August 2009. OK, now having read that, does the statement, “DNR tests showed less chlorine in the water than the 1.5 milligrams per liter required by state law to kill bacteria.” make you feel… safe? How about “The investigation began after some residents complained about declining water quality.” Does that give you any sense of security? Can individuals test their city/town/tap water? Of course they can! While only certified water testing laboratories can give the absolute last word on the safety and potability of drinking water, at-home drinking water test kits from companies like SenSafe and WaterSafe allow the average homeowner to test critical water parameters on their own, whenever they want, and for little money. What water parameters should homeowners test? Should homeowners with city water test for other things? That all depends on where their water company gets its water. As an example, if the water comes from a well, other potentially harmful water contaminants such as pesticides and arsenic could find their way into the water supply and an ill-equipped water treatment facility may not have the proper technology installed to remove them. As always, though, if you have serious reason to suspect that your tap water has ‘issues’, seek advice from certified water quality experts. Home water test kits serve as great field tests, but the final word regarding a water supply’s potability should come from a certified water testing laboratory. Back in the month of June resident of Alberta, Canada with his own ‘news’ blog did his community a great service by posting an article warning people that scam artists had targeted neighbors. Apparently, a fly-by-night, or otherwise not-so-ethical organization, left small bags containing water sampling kits on people’s doors and has now started making follow-up calls to the homes where they dropped off bags. While the town of Morinville DOES have a random sampling program in effect to help guarantee water quality for all residents, the town has nothing to do with the surprise water testing packages showing up at people’s homes. Morinville – If you come home to find a little blue bag hanging on your door with a water testing kit inside, Morinville Enforcement Services want you to know that it is not a town-run program. Enforcement Services have recently received a number of calls from Morinville residents who have received the kits and are reporting that follow-up calls are being made to their homes regarding them. The kits are not being distributed by Public Works or any other Morinville department. Morinville already has a water testing process in place. Water testers collect unsolicited random samples on a daily basis and send them to a government lab to ensure the quality and safety of the Town’s water. If the Town requires anything from a resident or their property, they contact the person directly. At no time do they hang collection kits on a resident’s door. We have written about shady water testing companies in the past, we find ourselves writing about them now, and we will probably wind up writing about them again in the future. 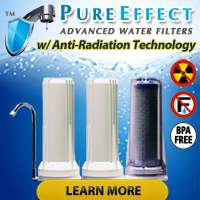 It saddens us to know that people could use matters as serious as drinking water contamination as a way to trick people into purchasing additional water testing and/or possibly unneeded water filtration equipment. Most Effective Method: Don’t let the b#stards in the front door to begin with and/or hang up on them when they call. Next Most Effective Method: Knowing the condition of your drinking water will always provide you with the best defense against unethical water testing companies and companies using deceptive water testing tactics. They cannot possibly convince you that you need ‘this’ or that you will DIE if you don’t install ‘that’ right away if you already know from testing of your own or a trusted water testing facility indicates otherwise. Always remember that a water filter company offering to come out and test your water ‘for free’ spends money on gas, training, salary and equipment sending a technician (salesperson) to your house — and therefore expects that technician (salesperson) to sell you something whether you need it or not. If you think you may need a water filter, first have an independent lab like National Testing Laboratories or a local laboratory certified to test drinking water give you a complete analysis. Then read the results over carefully and make sure you understand what they mean so that when the water filter salesperson makes his/her presentation, you can ask the right questions and keep yourself from accidentally getting sold more filter than you really need. Recently post we provided links to three different bacteria in water test kits in the same blog entry and since then we have received a number of emails asking us to please explain the differences between them. The first bacteria test kit does the most complete testing for potentially harmful bacteria in drinking water. It can provide presence/absence test results in 24 hours for coliform bacteria down to 1 cfu per 100 milliliters, the current low detection limit enforced by the United States Environmental Protection Agency. Additionally, use of a light source with a wavelength of approximately 365nm on the sample after the passing of 24 to 48 hours will let you know if you have E. Coli present in your test sample. The ability to provides presence/absence results for E. Coli. results in this test kit having the highest cost. Sold in cases of 12 and manufactured by SenSafe. The second bacteria test kit provides presence/absence test results in 48 hours for coliform bacteria down to 1 cfu per 100 milliliters, the current low detection limit enforced by the United States Environmental Protection Agency. It does not provide information on the presence or absence of E. Coli. in a water sample. Sold as individual tests and manufactured by WaterSafe. The third bacteria test kit performs the same task as the second test kit, providing presence/absence test results in 48 hours for coliform bacteria down to 1 cfu per 100 milliliters, and comes packaged in cases of twelve or as individual tests. The kit’s manufacturer, SenSafe, claims that Bacteria Check “follows the APHA, Standard Methods, 20th Edition, 9221 D, screen test for total coliform in potable water”. No matter which test kit you decide upon, always remember that only a water analysis performed by a certified water testing lab such as National Testing Laboratories can give you a definitive answer regarding the safety of your drinking water. 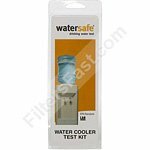 You should use At Home and Do It Yourself Water Test Kits from WaterSafe and SenSafe should serve as screening tools only.